At the beginning was the pen. Then came the screen—first in the living room and then at the office, and in pockets. For years, consumer tech companies attempted to marry the two, seeking to address the need to quickly jot down ideas and share them. In the 1990’s, these needs were addressed by products including the Palm Pilot and the laptop. The Palm m515 was equipped with a stylus. To make handwritten text convertible to text format required using a set of pre-defined simplified movements for each letter. Otherwise, the Palm would simply not identify the handwritten words. While popular among executives, many users ended up handing the devices down to their children as a glorified, if technically challenged, mini-sketch board. A stylus was also added to some laptops. Lenovo’s ThinkPad X series and HP’s TX series had a stylus that included a button that worked like a mouse right-click button. Some computer makers also implemented algorithms developed by Japanese company Wacom Co. Ltd. to enhance the usability of the stylus, making it relevant for graphic designers, and architects. But the following years have not seen a wider adoption of the stylus. Personal digital assistants morphed into smartphones, but only a handful of models included a stylus. Driven by lower prices and better performance, laptops gained wide popularity, but the use of a stylus remained largely confined to premium models. The slowdown in the adoption of digital pens had its roots in the design of these new to the market gadgets. Smartphones required more components and offered no extra space—with the need to build in a relatively strong battery, communication, and display components, and electric sockets, the stylus was perceived as an expendable luxury. In 2011, Samsung brought to the market the Note: a smartphone with an outsized screen and a stylus. Seen early on as a move intended to please business users, the company aimed for something bigger—turning the smartphone into a content creation tool. The first generations of the Note brought on a new trend, and a new product category: the phablet—a combination of a smartphone with screen sizes just shy of those mini-tablets sport. Most manufacturers figured the large screen may appeal to business users first, but can later draw in consumers seeking a better gaming and video experience. The stylus, once again, was left out. Mobile accessory vendors started offering a stylus as an add-on, but high prices kept market interest low. Samsung continued to offer the Note with a digital pen in its next models. The company also offered an illustration app called PenUp to help users share their creations. The stylus was no longer intended just for jotting notes on the fly, it has taken on a wider set of capabilities. The phone, once mainly a tool for consuming content, was now also a creation tool. 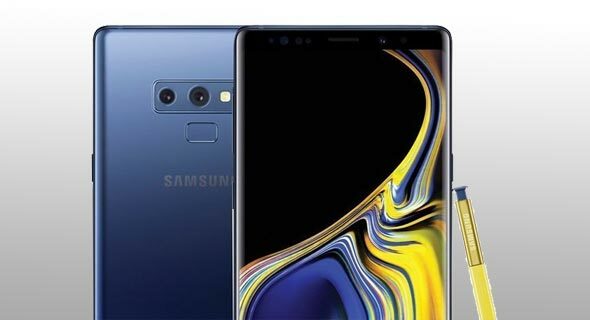 The recently launched Note 9 added further functionality. Bluetooth connectivity added to the digital pen gave the physical addendum previously unattainable resolution, making its use much closer to the regular pen and paper. Latency, usually associated with the use of digital pens, was gone, making use more natural, even for non-professionals. The Bluetooth connectivity also made the pen into a remote control for the phone, enabling users to browse through presentation slides or activate the phone's camera from afar. With Microsoft’s hybrid Surface, and Apple’s iPad Pro both offering digital pens, market presence has become even more prominent, with other vendors adding pen capabilities to their products. For now, attempts to inject the pens with further capabilities, most noticeably with a microphone, remain marginal. Wishing to expand penetration in lucrative markets like Europe and the U.S., Huawei, and Xiaomi are expected to be the next to hop on the digital pen bandwagon, in an attempt to leverage consumer interest.